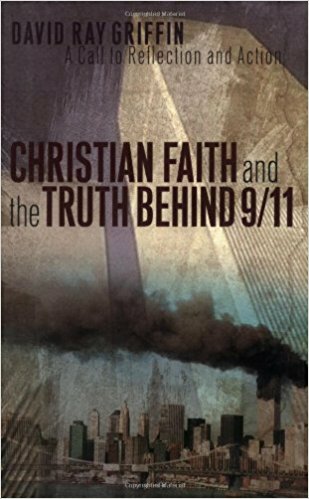 I have been a "truther" since I read David Ray Griffin's book, Christian Faith and the Truth Behind 9/11 that was published by my denomination's publishing house, Westminster John Knox Press. At first, some took what he had written seriously. A study guide was created for helping church people digest it. Godshall, moreover, did not merely censure my book and Westminster John Knox for publishing it. The two men at the press who made the decision to publish it were soon to depart. In fact, however, Godshall began micromanaging, so Davis Perkins, who was already angry at Godshall for having apologized for the publication of my book, resigned as president and publisher of Westminster John Knox to take another position. One week later, Jack Keller, the vice president for publication, was fired. What is the message? While Jack Keller was vice president for publishing at WJK, it had published several books by me. One of them, God, Power, and Evil, rejects the traditional doctrine of omnipotence. It even specifically criticizes this doctrine as held by John Calvin, the founding theologian of the Presbyterian Church. Another book explicitly denies that God can interrupt the world’s normal causal relations, which means that there can be no miracles as traditionally understood and no infallibly inspired scriptures. But no one was fired for publishing these books. No one screamed that by publishing these books, the press was implying that the Presbyterian Church accepted these ideas. Here we are ten years after its publication and sixteen years after the events of 9/11. Does uncovering the truth and demanding a full investigation into 9/11 still matter? I believe it does because of all the death and destruction that has happened (and continues to happen) because of 9/11. Most importantly for me it matters because truth matters. Tonight I continue our Tuesday night series, "The Church's Role Beyond Its Walls." I tell my own story of how I became suspicious of the government's official conspiracy theory and why I think it is important for Americans to take action and demand an independent investigation. Next week we will watch the film by Architects and Engineers for 9/11 Truth, "9/11: Explosive Evidence--Experts Speak Out." May 16 - John’s personal journey through 9/11 tying together 9/11, The Myth of Redemptive Violence, The Myth of American Exceptionalism, and Resource Depletion, especially Peak Oil. May 23 - (Film) “9/11: Explosive Evidence: Experts Speak Out” by Architects and Engineers for 9/11 Truth. www.ae911truth.org We will keep options open regarding the remaining Tuesdays if there is interest in discussing these topics further or other topics. John will continue discussions and films for those who are interested. We will decide that on May 23rd. Childcare is provided. The public is invited. Loved your blog post. Jesus LOVES the truth - remember that - and Jesus would say, don't worry about what other people think. Serve God first. I am reminded of what He told the Woman at the Well - "There's a time coming, and it's here now, when we will worship God not at the Temple, and not at this Well, but in Spirit and in Truth!" I made a blog post of my own, about our recent Christian Truth outreach - and linked back to you. Check it OUT!